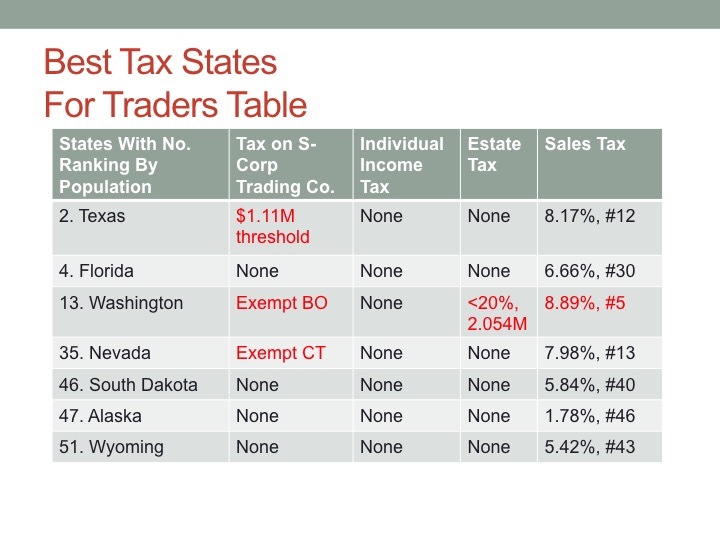 Traders have unique tax issues on state and local income tax returns for business entities and individuals. Moreover, state and local tax regimes vary significantly. The preferred business entity for a trader is an S-Corp pass-through entity, which is free of entity-level federal taxation. 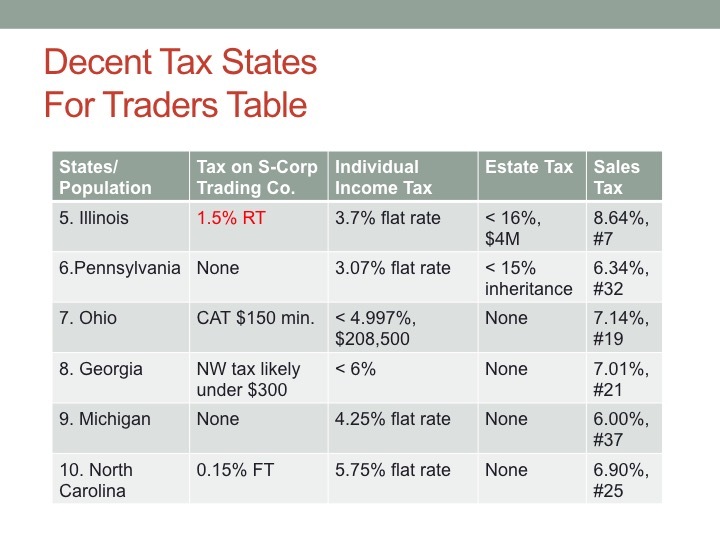 Some states and cities subject S-Corps to taxation. 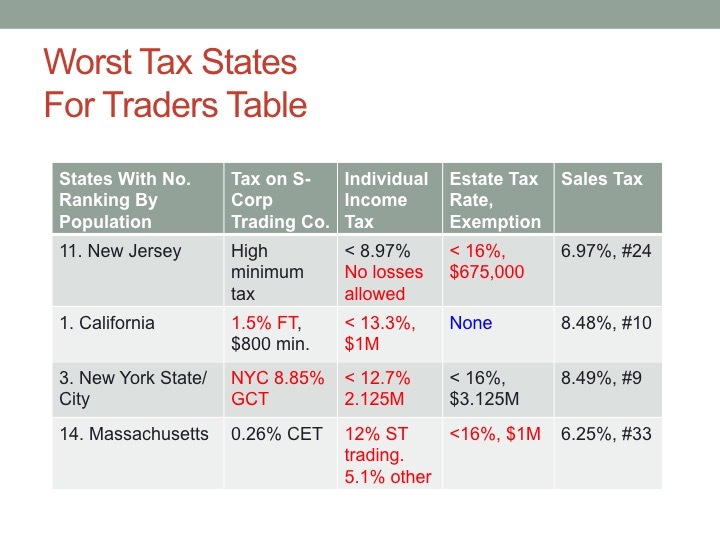 See our related blog post series: Trader Tax Battle Of The States.